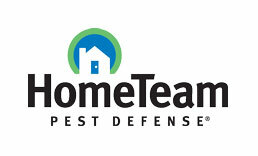 HomeTeam Pest Defense, a Rollins Inc. company, has earned, for the sixth time, a Partners of Choice award from homebuilder David Weekley Homes. It’s one of only three suppliers to receive an “A” award for quality. HomeTeam Pest Defense provides pest management services to service homeowners and homebuilders and has 51 offices in the United States. Its Taexx built-in pest control system has been installed in more than 930,000 homes. David Weekley Homes, a Houston-based company that builds homes in 24 cities and 13 states across the country, conducts a National Trading Partner Survey to evaluate its business partners’ performances. On a quarterly basis, 1,000 team members evaluate 200 suppliers on product quality and their commitment to service. For 13 years, David Weekley Homes has rated the companies and comparatively ranked them alongside other national trading partners. Silver said she personally reviews the comments she receives each quarter, and shares them with her team. “The National Trading Partner Survey gives us the opportunity to resolve any issues, strengthening our relationship with this prominent home builder,” she said. - Rollins buys Northwest Exterminating Co.